Richard Wayne Ogle was born on 10 November 1922 in Idaville, White County, Indiana. He was known as Wayne. He married Joan Frances Weiler, daughter of Raymond Francis Weiler and Gladys Wales, on 8 July 1950 in Arlington, Arlington County, Virginia. Richard Wayne Ogle became a widower at the 15 February 1986 death of his wife Joan Frances Weiler. Richard Wayne Ogle died on 20 April 2010 at age 87 in Port Orange, Volusia County, Florida. He was interred at Union Cemetery, DeLand, Volusia County, Florida. The following appeared on 22 April 2010 in the Daytona Beach News-Journal: Richard "Wayne" Ogle, 87, died on Tue., April 20, 2010 at the Hospice of Volusia/ Flagler in Port Orange, of pancreatic cancer. The funeral service will be held at 10 a.m. on Sat., April 24, 2010 at the John Leppert Mortuary in Carmel, Indiana, with Pastor Mark Wesler and Associate Pastor Brian White officating. Interment following at Union Cemetery. A memorial service will be at 2 p.m. on Fri., April 30, 2010, at Port Orange Presbyterian Church, 4662 Clyde Morris Blvd., Port Orange with Rev. Dr. Calvin Gittner officiating. Wayne was born November 10, 1922 in Idaville, Indiana to Clifford and Gladys Ogle. He graduated from the Idaville School and attended Indiana University. He volunteered for the U.S. Army in April, 1941 and served as a master sergeant in the U.S. European Headquarters in London and Paris. After working in Chicago and Washington D.C., he joined the Department of State in 1948 and entered the Foreign Service in 1950. He held positions in Washington and at embassies in Panama (1951-53), Cambodia (1955-57), Taiwan (1958-60), New Zealand (1963-67) and Vietnam (1968-72). He retired in 1972 and settled in Ormond Beach and then Daytona Beach Shores. He was a member of the Port Orange Presbyterian Church. He traveled extensively, circling the globe seven times and visiting 86 countries on all seven continents, including Antarctica. His highlights included standing at the South Pole in 1963 and riding a motorcycle from Nicaragua to Indiana in 1953. He traveled to all fifty states at least six times each and visited all of the state capitals. He drove more than 1.2 million miles, particularly enjoying the scenery of the American Southwest, and in 2005 he completed his life goal of traveling to every county and independent jurisdiction in the United States. His life-long interest in genealogy led him to be instrumental in organizing the Ogle/Ogles Family Association in 1979. He served as its vice-president until 1985, then as president from 1985-1991, and again from 1994-1997. He served on the board of directors from 1997-2003. He was named President Emeritus in 2003. 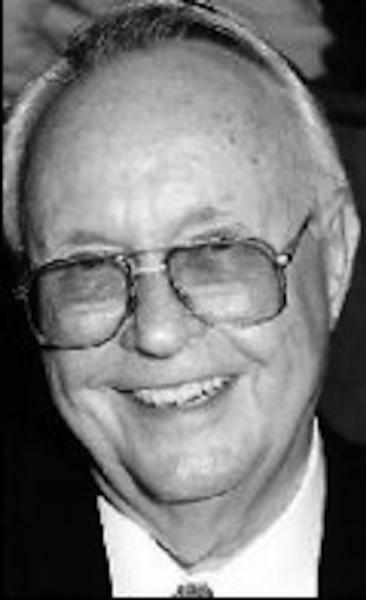 He was editor of the organization's annual publication, The Ogle Genealogist , 1993-1999. He directed the Family History Project, and served as Editor-in-Chief of the Ogle Family History. He has been called the "Godfather" of Ogle genealogy. He was a Boy Scout Leader from the 1974 to 1987 and received numerous awards, including District Cub Master of the Year Award, 1984; Council Award of Merit, 1980; and the National Silver Beaver Award, 1985. He was an avid photographer, practicing color and instant photography, home movies, video and audio recording, and digital photo editing before any of them became popular. He collected postage stamps and matchbooks from around the world. He enjoyed playing games of all types, especially shuffleboard in the Daytona Beach area. His unusual sense of humor leaned toward word play. He spoke Cantonese and French. His outgoing personality made friends wherever he went. He is survived by his wife, Josette Hsiao Lung-Ogle; and a sister, Jean Klutey of Carmel, Indiana. He leaves eight, natural, adopted and step-children, Linda Turner and her husband, Larry, of West Point, Va., Chris Ogle and his wife, Bryar, of Chesterfield, Va., Becky Collins and her husband, Lyle, of Chester, Va., Sharon White and her husband, Jeff, of Louisville, Ky., Tim Ogle and his wife, Marissa, of Brentwood, Tn., Jennifer Steele and her husband, Steve, of Raleigh, N.C., Min-Min Liang and her husband, Marcus, of Boston, Ma., and Min-Jen Liang and his wife, Olivia, of Taipei, Taiwan. He is also survived by 18 grandchildren; three great-grandchildren; a nephew, Darrell Klutey; and a niece, Carol Klutey. He was pre-deceased by his parents, Clifford and Gladys Ogle, and former wife, Joan Ogle. In lieu of flowers, donations may be made to Central Florida Council of BSA, 1951 S. Orange Blossom Trail Suite 102, Apopka, FL 32703. Local arrangements are with the Shannon Maloney Funeral Home.